Keep this adorable pot on the windowsill or in your garden and it is sure to look unique among the other pots there. 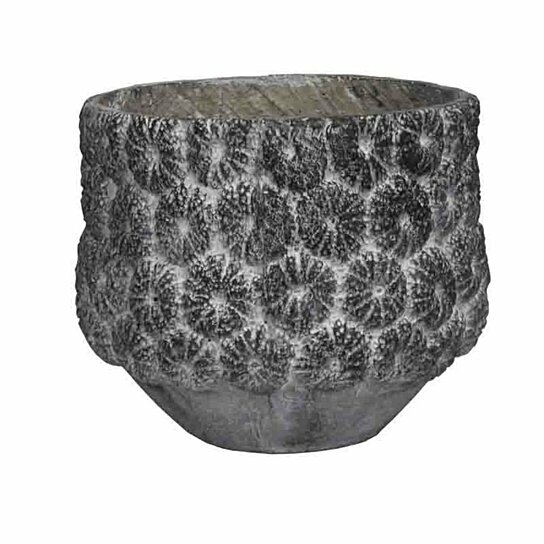 This pot is gray in color and has a matte finish. The lovely flower carving on it makes it a must have. You can keep it alone or along with other pots for a coordinated look. This pot is small and will not occupy much space. In the garden or by the window you can use it to keep a small plant or sapling. This pot is certainly worth owning, so grab it now at once. In the garden or by the window you can use it to keep a small plant or sapling. Do not occupy much space.